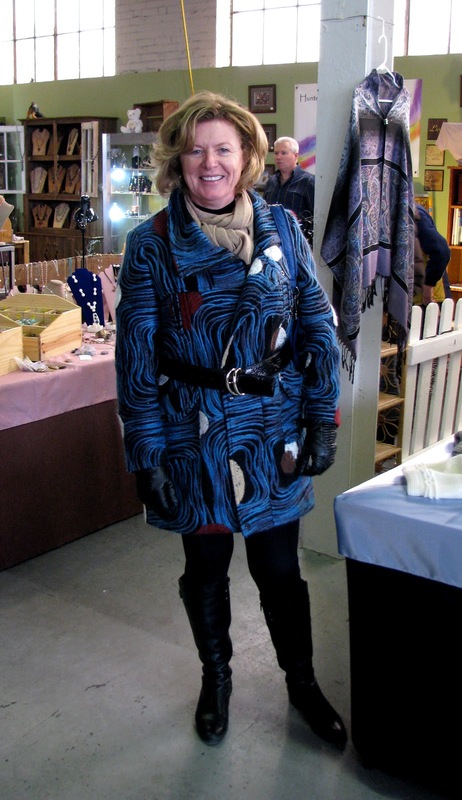 Ran across this woman in her striking black and blue coat at the Farmer's Market. The blue design is stitched on the coat with yarn, which gives it a nice texture, and she's paired it with basic black so as not to distract from the strong statement of the coat itself. She's also got the height to carry it off and not look like the coat is wearing her.